**The pictured scarf was sold . A very similar one is in stock and ready to ship now! 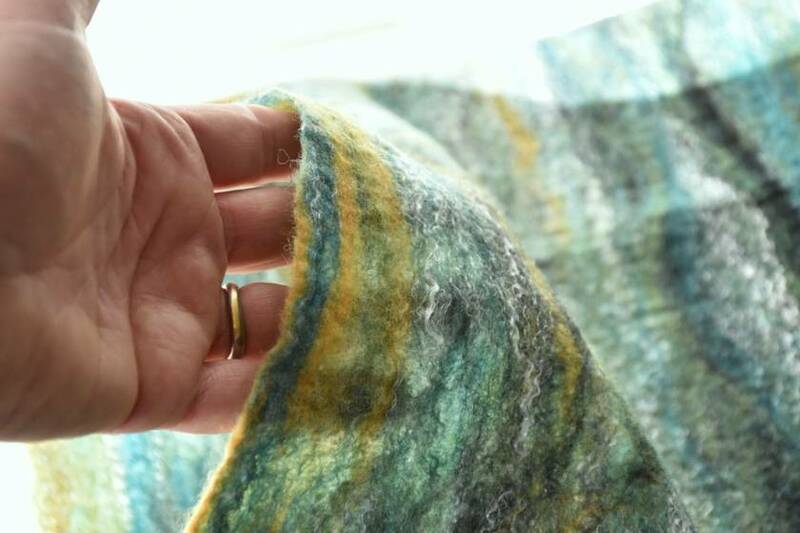 Fine NZ Merino wool was laid out in a very fine lattice-work of blended green tones with hints of black and ocre, entwined with strands of white mulberry silk fibre which adds a lovely lustre. The 100% natural materials were felted into a fluffy fine felt that feels warm and breathable. 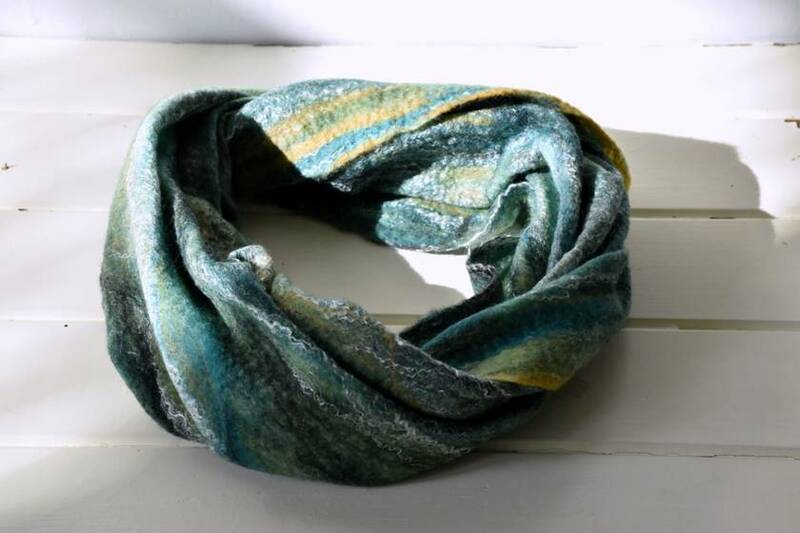 This scarf is wet felted with very thin layers of fibre into a durable piece of airy felt .It is super lightweight and a wonderful gift to send overseas. 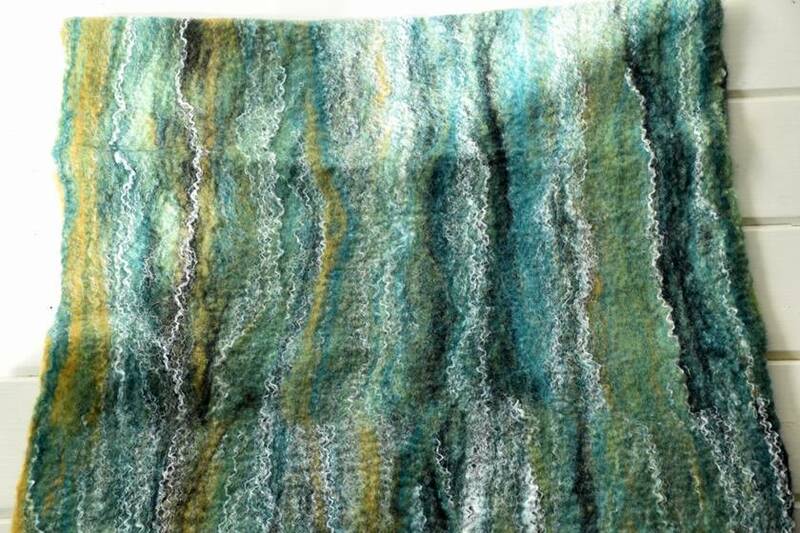 I used biodegradable skin friendly soap during felting. The scarf comes ironed and is ready to wear. Contact silkydesignz to enquire about payment or shipping options.